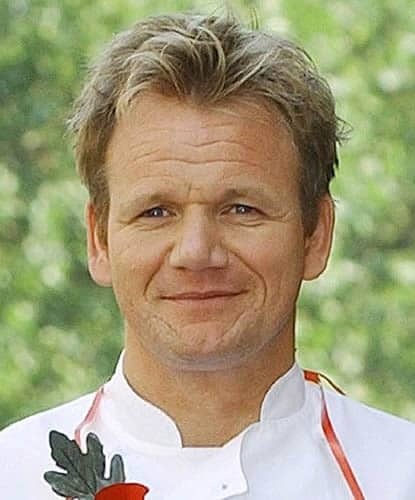 Celebrity chef Gordon Ramsay is not only famous for his culinary talents, but he also has a reputation for having a fiery personality especially when it comes to his number one passion, FOOD! 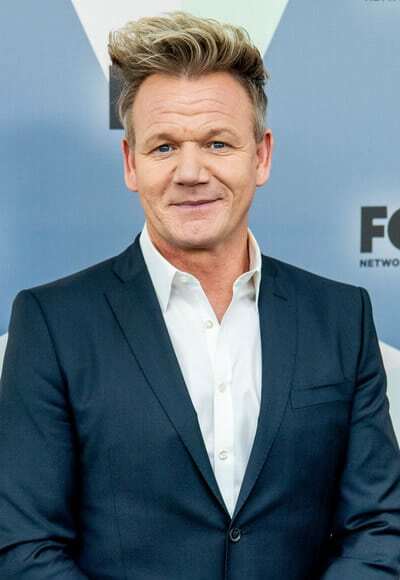 Ever since he became a familiar face on hit TV shows such as “Kitchen Nightmares”, “Hells Kitchen” and “The F Word”, audiences have been captivated by his loss of temper in the kitchen. Because of his controversial TV persona, it wasn’t long before the public scrutinized Gordon’s lifestyle, as well as his looks, hair, and body. Every time he started shouting and swearing, people couldn’t help but notice his visible wrinkles, which seemed to be getting deeper with age. Sometime later, however, people noticed Gordon looking a lot different in his public appearances. In fact, he was looking younger. This was when fans suspected the celebrity chef of getting plastic surgery. 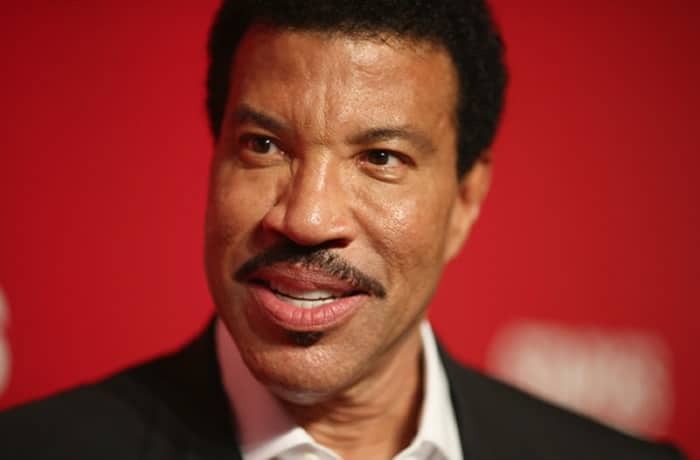 There were talks about him getting a facelift as the ultimate anti-aging treatment, while others believe he regularly gets Botox to tone down the lines on his face. So what exactly has he done to stay looking young? 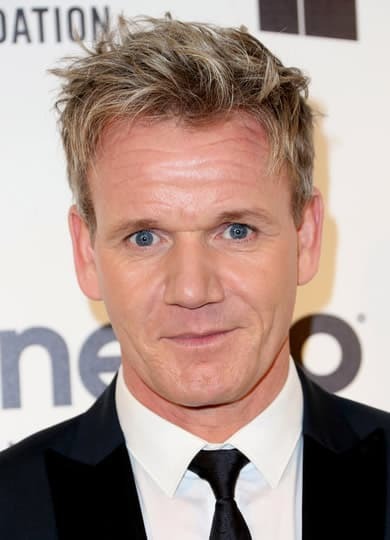 Did Gordon Ramsay Have Facelift? Has Gordon Had Hair Transplant? What Happened To Ramsay’s Chin Scar? What Did Gordon Say About Plastic Surgery? How did Gordon manage to turn back the clock? Let’s see photos before and after he became famous to determine if cosmetic surgery played a role in his youthful appearance in recent years. Old Face vs New Face? Maybe it’s his Scottish genes, but Gordon’s face is full of wrinkles, especially on his forehead and chin, as shown in this before photo. A few years later, however, those deep lines have been slowly disappearing, which led us to assume that Gordon had a facelift. Whatever procedure he got also seemingly altered his appearance, as it softened his look. Doesn’t he seem less intimidating in his after photo? He looks much more friendly, pleasant and approachable, so if this is the effect of a face surgery, then well done to his plastic surgeon! Did Gordon have something injected in there? 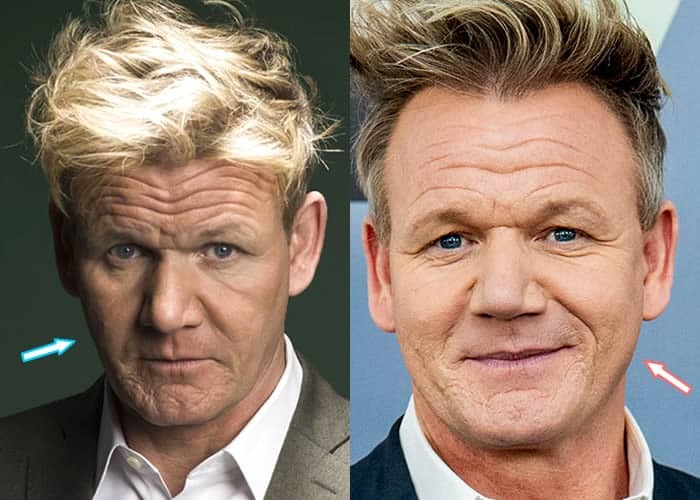 Based on the comparison photos above, there is little doubt that Gordon used botox for his sagging skin. He seems to have gotten face fillers to add volume to his cheeks and perhaps to cover those deep lines. The difference in these before and after pictures is so stark. That man on the left looks about five years older. The man on the right, however, looks so fresh, even though his face appears a little puffy. So, yes…we believe there’s a good chance that Gordon gets botox injections and the treatment has indeed improved his appearance. A man always looks better with more hair, right? Gordon used to have a receding hairline, as evidenced in this before photo. Hair loss comes as no surprise when his hot tempered nature on TV likely brings him a lot of stress. But something changed in his hair in recent times and it seems like Gordon might’ve had a hair transplant to correct his thinning hairline. He looks a lot better so if this is true, we have to give him props for getting this procedure! His chin is now scar and wrinkle free! When he was just new on TV, Gordon’s chin had deep visible lines. Rumors state that those chin scars were from a rough game of Rugby in his youth, but Gordon never publicly discussed how he got it. People, however, made a big deal of those scars because it made him look more threatening. But those lines seemed to be less and less visible as the years went. He definitely got a face job to correct the imperfections around his mouth area. Gordon might have had a browlift too because his eyes seemed to have opened up more in this after photo. Take a closer look at how his eyes used to be droopy and you’ll get the point. Let’s check out Gordon’s young days and compare how he looks back then and now. Who knows…we may even pick up other cosmetic surgeries along the way. 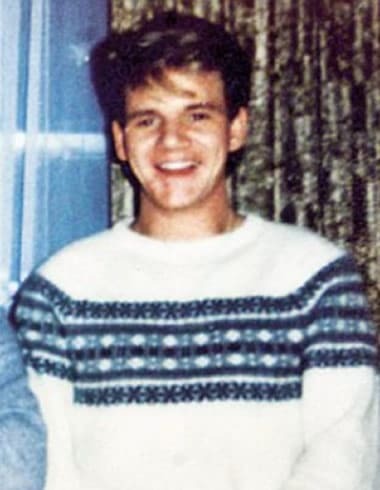 Young Gordon Ramsay looked like he couldn’t hurt a fly in this photo. 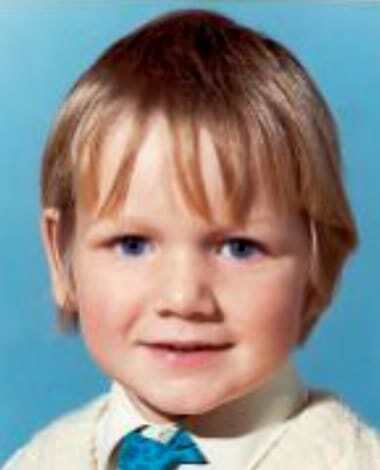 Maybe he was about four years old here and had that typical apple haircut as a child. He looked so cute with his big blue eyes and round face shape. 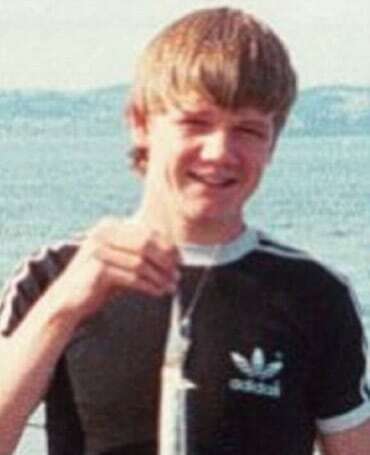 As a teenager, Gordon was into football, fishing, and other sports. He had lots of hair too in his youth. 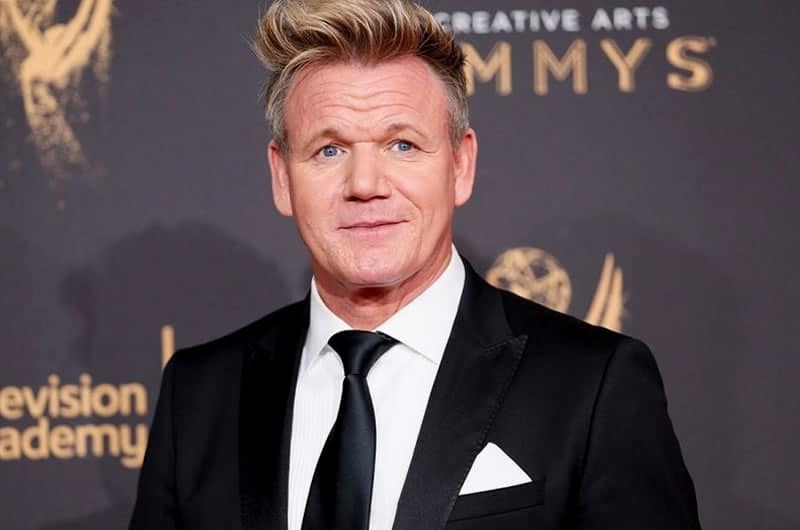 He apparently wanted to pursed a career as a football player, but due to an injury that set him back from becoming a professional athlete, Gordon instead studied culinary arts. As a happy and handsome young adult in the ’80s, Gordon got his education in the kitchen of Marco Pierre White. 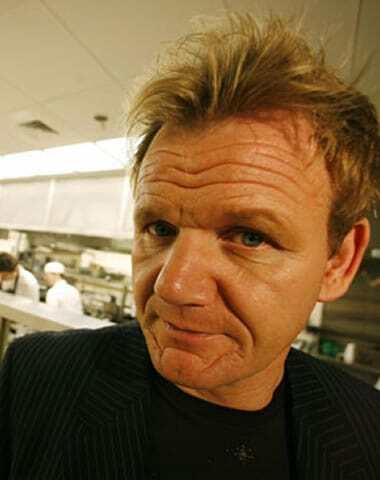 The prominent chef and restaurant owner was known for his temperament and there were stories that he made Gordon cry. Working for White, however, strengthened Gordon’s background as a chef. 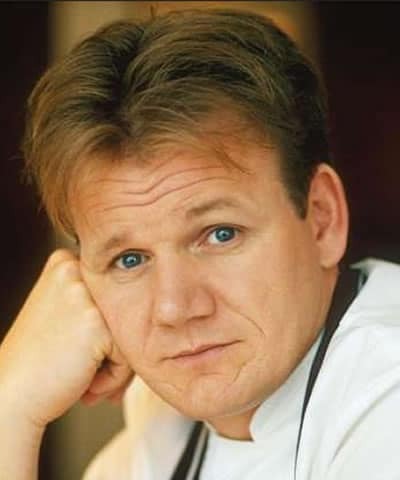 When Gordon opened his first restaurant in the 90s, hair loss wasn’t a problem yet and there were not many wrinkles on his face, except on his forehead. He also looked slightly chubby as a young father. At 38 years old, Gordon became a TV star and wore a familiar hairstyle. Though he still looks quite young, he had lines on his face that TV makeup couldn’t cover. We’ve never noticed it before, but Gordon has big ears! Gordon might be pushing himself too hard by appearing on several TV shows week after week. At 42, he’s looking old and tired. This is quite a transformation after only four years and he’s losing hair too! Besides running his million dollar empire, Ramsay likes to maintain a lifestyle balance of healthy food and exercise. 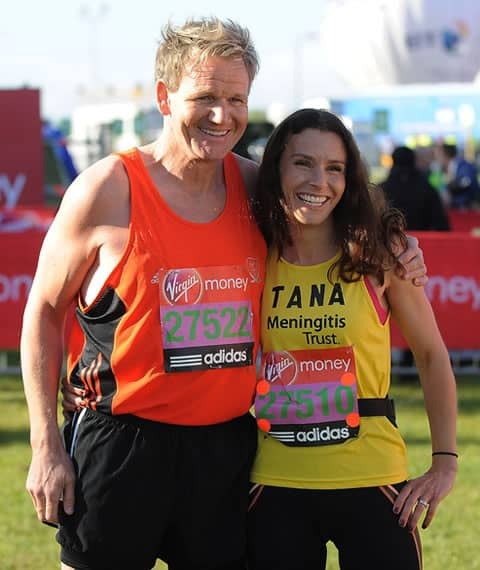 Here he joins his youthful wife, Tana, during the Virgin London Marathon in England. Reports say the couple regularly workout together to maintain a healthy body. Gordon debuted his new face at Elton John’s Oscar party. It was quite obvious that he had tightened skin, a possible hair transplant and maybe another procedure done to his eyebrows. He looked so much younger than his age. The celebrity chef’s chin scar also disappeared so we doubt this had anything to do with a new skincare routine. He seemed to have lost weight here too. A smartly dressed Gordon Ramsay attended the Emmy Awards looking as dashing as James Bond. His body shape looked so toned and fit in this red carpet photo, but we don’t suspect he had liposuction. Instead, we think his secret is diet and exercise. Around this time, he also started a line of healthy recipes for Fit Food. At 52 years old, Ramsay simply couldn’t look any better. Though some fans think he’s looking a bit puffy around the cheeks. Do you think he’s gained weight or did he overdo his botox? 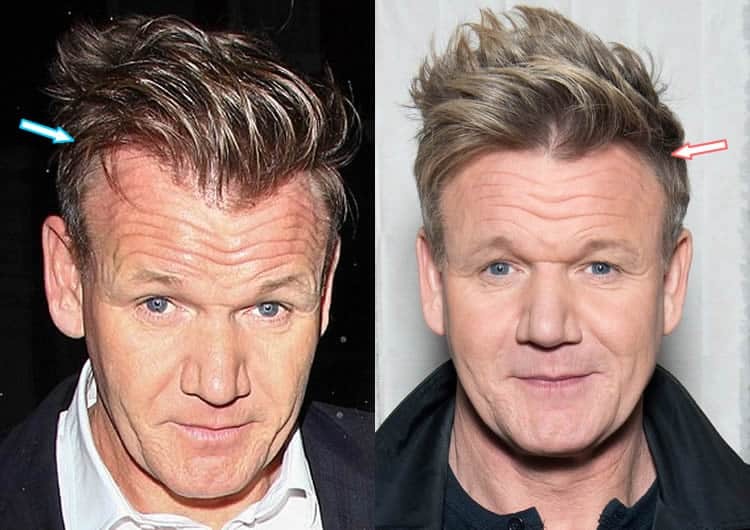 Apparently, Gordon is good friends with Simon Cowell and may have taken a few advice from him in the anti-aging department. Whatever the case may be, we really think he looks great for his age! 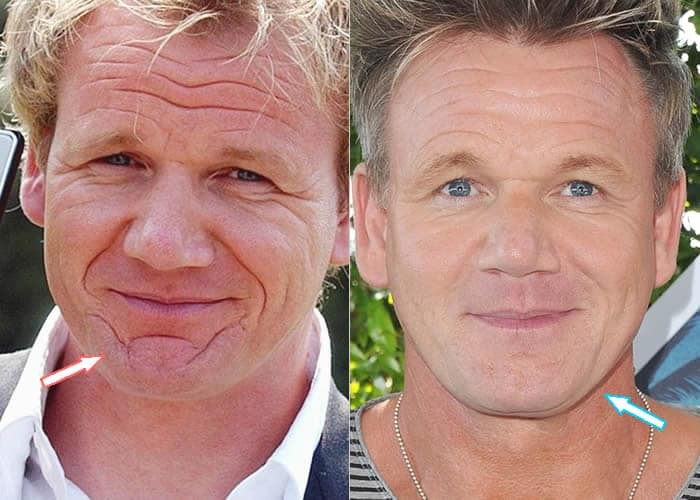 Gordon Ramsay openly talked about the cosmetic work done on his face. He revealed that he sought the help of a plastic surgeon after his encounter with his children. I’ve got four children, and they’d say: ‘Dad, why have you got so many wrinkles on your face when Clementine’s daddy has no wrinkles?’ The lines were pretty horrific, like Scarface, and I was never embarrassed by it but my children helped me become more paranoid about it. He also discussed what Simon Cowell’s advice was about his appearance. 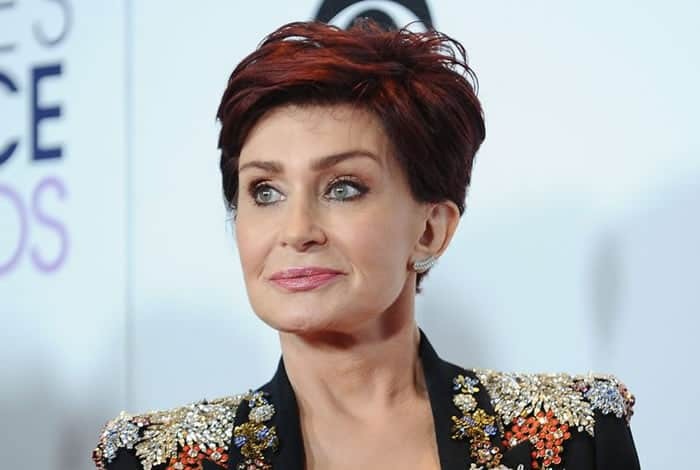 Simon Cowell suggested that now I’m a success in America, I should do something, so I had a filler put under the deep crevices. It hurt. Makeup artists in Hollywood also suggested Gordon should get cosmetic enhancements. So, he had a laser wrinkle removal procedure. It took four minutes each side, lasered not Botoxed. No one noticed until I mentioned it. 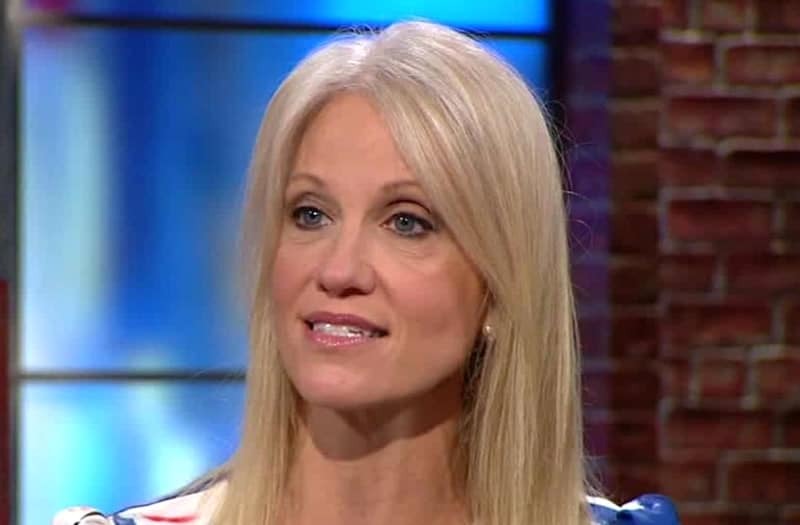 When you don’t say anything you’re classified as a liar, so you can’t win. Gordon, however, said that his doctor did not want to touch his forehead. That might completely change the essence of the celebrity chef people have come to know on television. The “Masterchef” star is upfront about his plastic surgeries and face fillers. However, those speculations about his facelift and hair transplantation remain unconfirmed even if there are hints of such procedures. If you look back at the timeline pictures, it’s obvious that he’s had a little more than just botox. So we won’t be surprised if Gordon Ramsay one day reveals he got those enhancements, too. For someone who is in a lot of TV shows, it makes sense for us that the British chef would make an effort to transform himself with the help of a cosmetic surgeon, especially with the number of wrinkles on his skin. 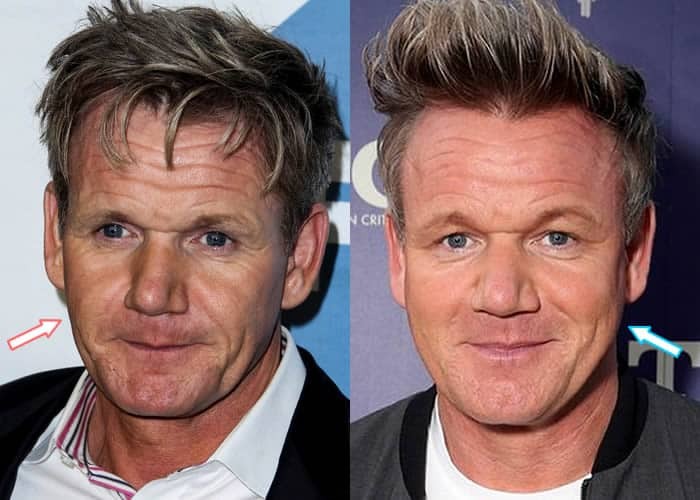 We do think Gordon’s recent face and body transformation has done wonders to improve his look tremendously. He definitely looks young compared to his earlier days, but should he keep it up? If he’s comfortable and is not overdoing it, why not? Previous articleJennifer Lawrence is HOT, because of Plastic Surgery?